The story centres around a particular incident which took place in the, now infamous, Algiers Hotel at the height of the five-day riots. The film recounts the story of how a group of black young men came to be singled out, detrained, beaten and in some cases killed by racially motivated Detroit cops for the sole crime of being black. Riding out the curfew imposed by the army from the comfort of the neigbourhood hotel, musician Larry (Algee Smith), lead singer of the Dramatics and best friend Aubrey (Nathan Davis Jr.) find themselves caught in a police raid alongside Green (Anthony Mackie) a black Vietnam vet who is found with two young white girl in his hotel room local white policemen Krauss, Flynn and Demens. Things deteriorate when Krauss, a terrifying Will Poulter, shoots and kills one of the young black men who had earlier been seen partying in a separate room with his friends and brandishing a toy gun. 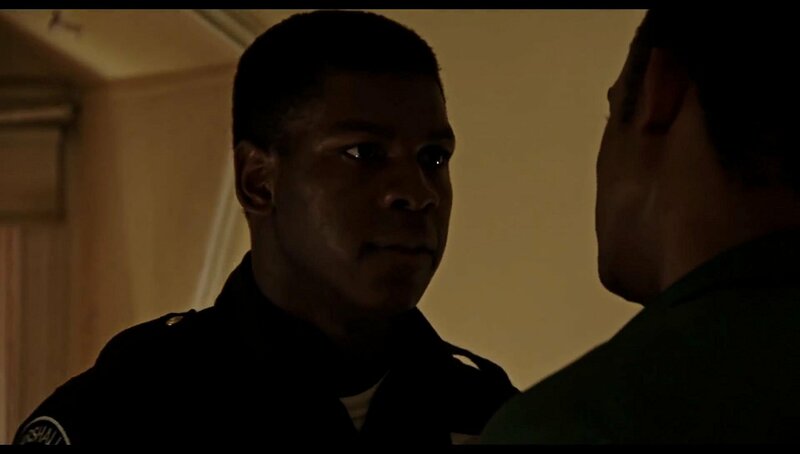 The police officers, under the watchful eye of black security guard Dismukes (John Boyega), who one could accuse of not doing enough to help the boys, go on to terrorise the innocent young men for hours before things turn into tragedy. The reminder of the film is focused on the fallout from the incident and the trial that followed. Bigelow does a fantastic job in retelling the story with a huge amount of precision. Her ability to bring back to life the era is genuinely impressive. Will Poulter puts in a career defining performance as racist cop Krauss, while John Boyega quiet observational turn is greatly understated. A brilliantly directed and fantastically acted film which is sure to shock and anger at the same time. Bigelow yet again proves herself as one of the greatest directors of her generation. Detroit is out on Friday August 25th.